Taco Seasoning Mix - 1 pkg. Heat oven to 400. Prepare mac & cheese as directed. 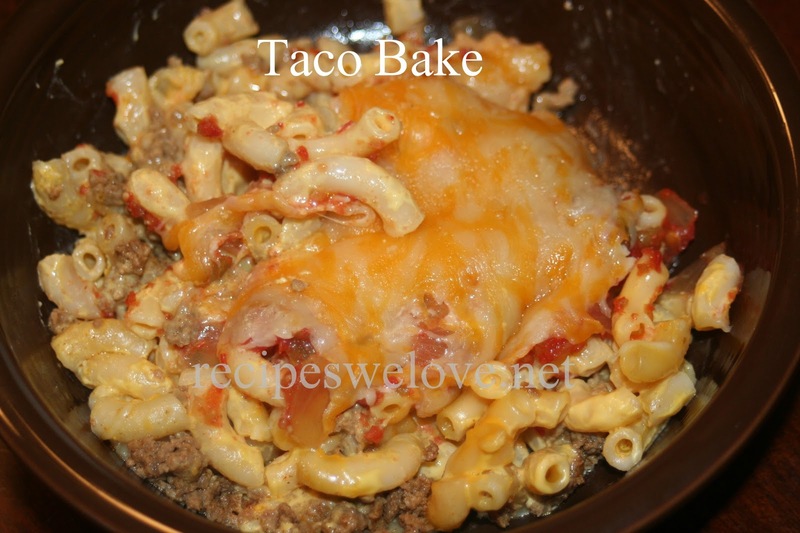 Cook meat with taco seasoning. Stir sour cream into mac & cheese. Spoon 1/2 mac & cheese mixture into 8 inch square baking dish; top with layers of meat mixture, 1/2 of cheddar and remaining mac & cheese mixture. Cover. 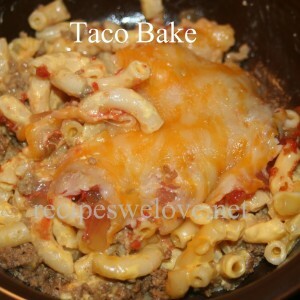 Bake 15 min; top with salsa and remaining cheese. Bake, uncovered, 5 min. or until cheese is melted. We also like to add jalapenos on top of ours. I made this and knew we were going to have some leftover so I frozed a portion of it in a Ziploc bag. A few weeks later I moved it over to the frig and reheated it in my toaster oven and it tasted almost as good as the day I made it and was so nice to have something other than a sandwich for lunch without having to cook or eat out.